Cryo Rack is moulded in Polycarbonate making it tough, durable & autoclavable. This handy rack can hold 50 vials at a time. The unique feature of this rack is that vials can be unscrewed without actually picking them up as the vial will lock in very well and hence will not twist. This rack is provided with four anti skid rubbers & each well is identified with an alpha-numeric index. 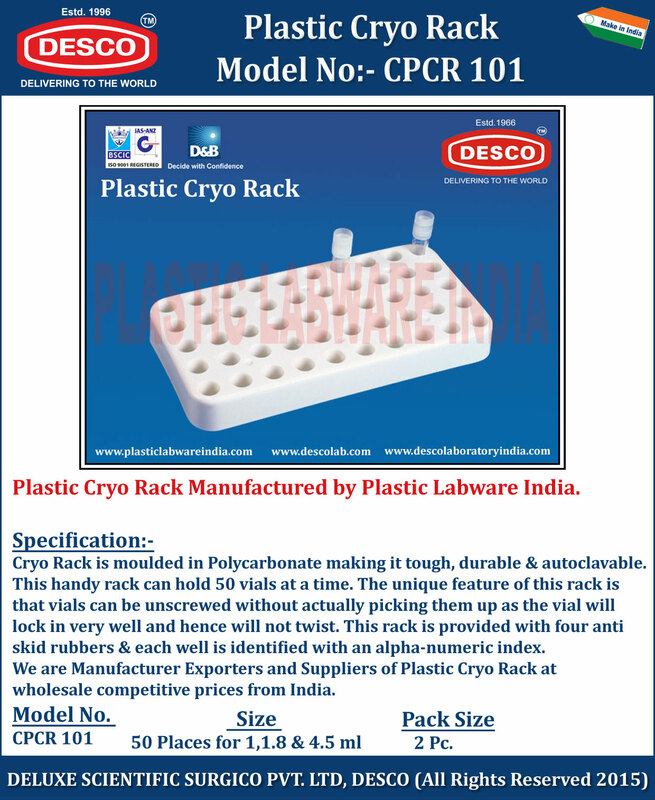 We are Manufacturer Exporters and Suppliers of Plastic Cryo Rack at wholesale competitive prices from India. CPCR 101 50 Places for 1,1.8 & 4.5 ml 2 Pc.